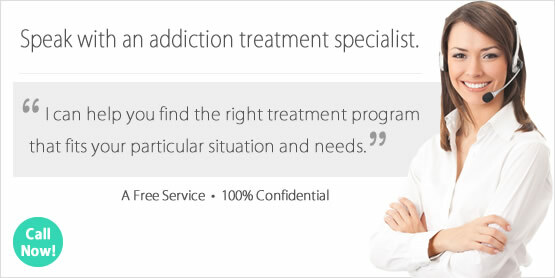 Looking for a Drug Rehab and Alcohol Rehabilitation Program in Washington? Enrolling in a drug rehab in Washington is a milestone for residents on the road to sobriety. The process can be challenging, especially if it is the first time the individual has sought treatment. Areas that must be addressed before choosing a program include determining if the addict requires inpatient or outpatient treatment, what type of treatment philosophy is best, can the program can treat multiple conditions if necessary (e.g. dual diagnosis) as well as what the total cost of services will be. Often, family and friends play a pivotal role in helping the addicted person. Loved ones help by doing online research, in addition to reaching out to intake counselors for information on specific programs. Drug rehab in Washington offers many different treatment options to help residents overcome drug and alcohol addiction. The Substance Abuse and Mental Health Services Administration (SAMHSA) reports Washington drug rehab programs enrolled 32,216 individuals for addiction treatment services during 2014. This is a slight decrease from 2013's Washington drug rehab statistics of 33,604 enrollments. The ratio of male to female enrollments for drug rehab in Washington was 60.9% male and 39.1% female. With the most common age group receiving treatment between 26 and 30 years old. Alcohol addiction with a secondary drug made up the greatest number of Washington drug rehab enrollments during 2014; consisting of 23% of all Washington treatment admissions for that year. Closely following alcohol addiction with a secondary drug treatment enrollment was heroin addiction enrollments. During 2014, 20.6% of all enrollments into Washington drug rehab programs cited heroin as their primary substance of abuse. In 2014, Washington State shows a dramatic increase in the number of heroin and methamphetamine addiction cases. Data collected from the University of Washington Alcohol & Drug Abuse Institute showed fatal heroin-related overdoses escalated by 58% in the Seattle/King County area during 2014. Statistics indicate this was the largest increase in local drug-related deaths in the past 17 years. Likewise, deaths related to methamphetamine abuse increased by 59%. In an effort to lower heroin overdose rates, Washington is 1 of 34 states participating in a movement to make opiate antidote-medications readily available to everyone. Opiate antidote-medications are specific drugs that have the ability to reverse a heroin overdose in just minutes. The expectation is that by making this opiate antidote readily accessible to addicted individuals and those who love them, the rate of heroin overdose will decrease. Each year the Behavioral Health Barometer report compiles data on Washington State alcohol and drug use statistics. The 2014 report documented approximately 390,000 persons aged 12 or older per year between 2009 and 2013 were dependent on or abused alcohol within the year prior to being surveyed. This number makes up 6.9% of all individuals in this age group living in the state during that time. Statistics from the survey report Washington's percentage of heavy alcohol use among adults 21 and older was slightly higher than the national average. 7.1% of residents 21 and older reported heavy alcohol use between 2009 and 2013, at the time the national average was 6.8% for individuals 21 and older. In recent years the rate of alcohol treatment in Washington has decreased as other drugs of addiction have become serious drug threats throughout the state. While alcoholism rehab enrollments have declined, the rate of enrollments into Washington rehab programs for alcohol addiction with a secondary drug problem has climbed. For example, in 2014 10.2% of all Washington drug rehab enrollments cited alcohol as their primary substance of abuse. During that same year, 23% of enrollments cited alcohol with a secondary drug as their primary reason for seeking treatment. Inpatient vs outpatient treatment in Washington differs in a number of key points. First, with inpatient treatment the person moves into the rehab center, whereas with outpatient care they continue to live at home. Secondly, day to day life is left behind when a person enters inpatient treatment. Personal obligations such as school, work and family commitments are put on hold while they go focus on their recovery. Outpatient rehab allows for a much more flexible schedule. Often, the recovering person is able to maintain many aspects of their day to day life while at the same time enrolled in the treatment program. In a recent report from the National Survey of Substance Abuse Treatment Services (N-SSATS), there were 451 substance abuse treatment facilities in operation on March 29, 2013 (the date the survey was conducted). At that time, there were 404 outpatient treatment programs in Washington, 61 residential inpatient programs and 8 hospital inpatient programs providing services. The 2011 Treatment Episode Data Set (TEDS) report on discharges from substance abuse treatment services gives details on completion rates among inpatient vs. outpatient treatment programs. The treatment completion rate was highest among discharges aged 12 and older from residential treatment (54% for short-term residential treatment, 53% for hospital residential treatment, and 45% for long-term residential treatment) were higher than in the less structured outpatient settings (37% for outpatient treatment, 33% for intensive outpatient treatment, and 12% for outpatient medication-assisted opioid therapy treatment). As anticipated, the addiction rehabilitation dropout rate was highest among discharges aged 12 and older from outpatient medication-assisted opioid therapy (40%) and outpatient treatment (30%). What Does Inpatient Rehab in Washington Involve? When the decision to enroll in an inpatient treatment program in Washington has been made, it is time to pack up and move into the rehab facility. This type of program provides around-the-clock care for their clients as well as a place to sleep and healthy meals. During the program participant's time in treatment they will go through detoxification, uncover the reasons behind their substance use and work on developing new healthy ways of handling life clean and sober. Many programs offer some form of aftercare. The time after a person has completed inpatient treatment and returns home can be a difficult adjustment. Aftercare can make this transition smoother and provide guidance and support if the person feels overwhelmed. Washington inpatient treatment programs offer intensive help for individuals in need of a structured environment during their rehabilitation. The 2013 N-SSATS report taken on March 29, 2013 indicates there were 61 inpatient treatment programs and 8 hospital inpatient treatment/detox centers in existence at that time. Many of these programs offer a variety of services and treatment lengths. Of the non-hospital inpatient programs, there were 37 short term rehabs (less than 30 days), 38 long-term rehabs (30+ days) and 16 detoxification inpatient programs. Of the 8 hospital inpatient programs, all 8 facilities provided both treatment and detoxification services. What Does Outpatient Rehab in Washington Involve? Deciding to enroll in an outpatient program involves attending the treatment center on a regular schedule while continuing to live at home. This form of treatment is best for individuals who do not require the services of withdrawal specialists or the structured substance-free environment of an inpatient program. Outpatient treatment in Washington allows the program participant to maintain many aspects of their daily life while receiving addiction rehabilitation services. At the time of the 2013 N-SSATS survey, Washington had 404 outpatient treatment centers throughout the state. Outpatient treatment programs made up 89.6% of all the substance abuse treatment facilities in the state that year. All of the outpatient programs in Washington offered more than one type of care. Of the 404 programs delivering outpatient treatment in Washington, 396 provided "regular" outpatient treatment, 349 offered intensive care, 26 included day treatment/partial hospitalization, 24 included detox services and 39 provided methadone/buprenorphine maintenance (or Vivitrol).